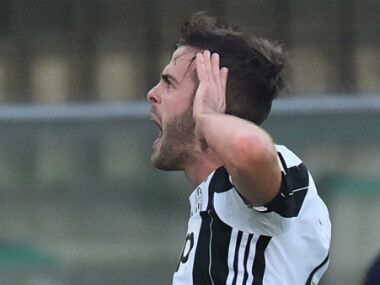 Milan: Bosnia midfielder Miralem Pjanic silenced his critics with a superb free-kick winner as injury-depleted Juventus laboured to a 2-1 win at Chievo to stretch their Serie A lead Sunday. In a hard-fought encounter that saw defender Andrea Barzagli stretchered off after just four minutes, Juventus were given another reminder their bid for a record sixth consecutive league title is far from being a formality. 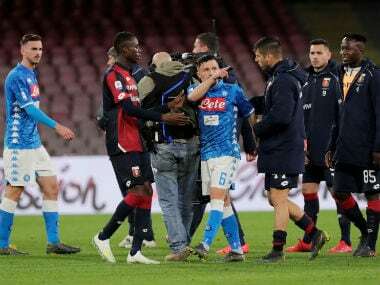 Napoli are now nine points adrift after a 1-1 draw at home to Lazio on Saturday, but Roma moved back up to second at just four points behind after a Mohamed Salah hat-trick inspired them to a 3-0 romp over Bologna. AC Milan's purple patch continued with a precious 2-1 win at Palermo that moved Vincenzo Montella's men up to third at five points off Juventus, whose bid for glory at home and in Europe is exacting a heavy toll. Injuries continue to pile up for Massimiliano Allegri's men, so the Juventus coach was delighted with the win. "The lads played well, we created quite a few chances and probably should have won with a bigger margin," he told Premium Sport. "But it's a precious win from a difficult match that has come amid a tough month of fixtures. "Opponents are getting tougher to beat all the time, so we can't look any further ahead than the next game." 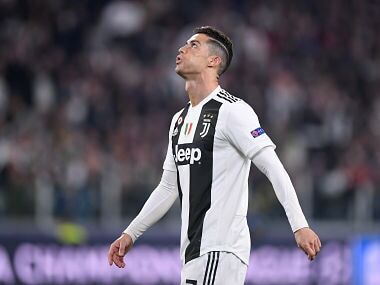 The champions were already without defender Giorgio Chiellini and Allegri dropped Leonardo Bonucci to the bench after he suffered a thigh injury in a midweek Champions League draw with Lyon. But Bonucci was forced into action to replace Barzagli fell awkwardly and dislocated his left shoulder. Still missing strikers Paulo Dybala and Mark Pjaca, Allegri had to deploy Mario Mandzukic alongside Argentine Gonzalo Higuain. "I asked Higuain and Mandzukic to give me everything, and they did," added Allegri. "We needed someone to run between the lines and in the absence of Dybala, Higuain is doing a fine job." 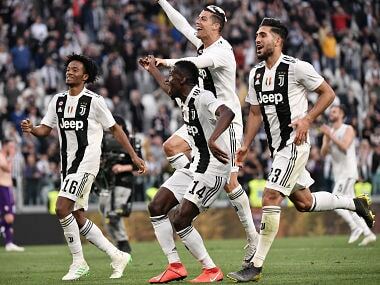 Mandzukic broke the deadlock eight minutes after the restart after controlling Juan Cuadrado's ball to beat Stefano Sorrentino down low from 18 yards. Juve should have earned a penalty on the hour but Higuain stayed on his feet despite being dragged back by Mariano Izco. Moments later Gianluigi Buffon saved Lucas Castro's close-range snapshot only to be sent the wrong way a minute later as Sergio Pellissier, on his 400th Serie A appearance, levelled from the spot after being hauled down by makeshift defender Stephan Lichtsteiner. Pjanic earned a lifeline when he was fouled by Spolli and stepped up to fire a sumptuous free kick into the top right-hand corner. 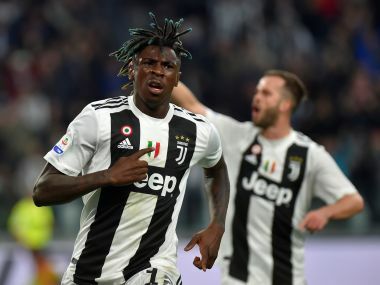 Having failed to impress since his surprise move from Roma in the summer, he later told Sky Sport: "The way we play at Juventus is much different to Roma. There's less dribbling, but I'm adapting." But the champions' finishing was terrible. Stefano Sturaro notably fired over on a one-on-one with Sorrentino and Cuadrado skewed wide after beating three three players on his way to goal. At Palermo, Suso stole the show for AC Milan in a 2-1 win that saw Josip Posavec perform heroics for the hosts. Suso pounced on a rebound from the Palermo 'keeper on the quarter-hour to fire into a virtually empty net from just inside area. Ilija Nestorovski's 71st minute equaliser raised home hopes but after Posavec stopped Suso with one-handed saves three times in the final quarter-hour, the Slovenian was beaten by Gianluca Lapadula's deft backheel flick, his maiden Serie A goal. "He went on with the right competitive spirit, I hope it's the first in a long line of goals," said AC Milan coach Vincenzo Montella. "We're happy with our league position, hopefully the upcoming international break will help recharge the batteries." Roma will feel the same, but Salah said he can't wait to get back challenging in the league. "I'm happy for the hat-trick," he told Premium Sport. "But we want to keep going like this and win all our games. Now we're just four behind Juve and four ahead of Napoli. "Now we have the international break, but we want to win a trophy this season."